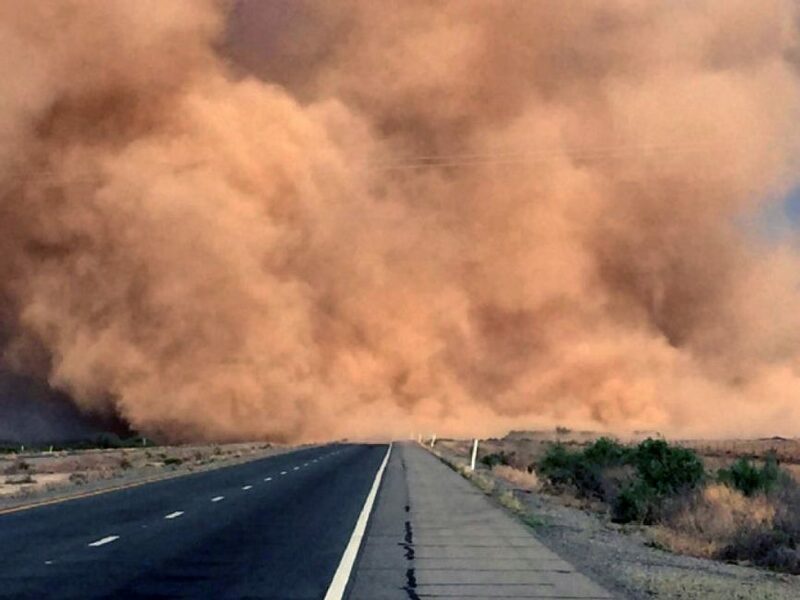 Washington Post A wall of dust raced toward Lubbock, Texas, on Sunday, and the National Weather Service threw out a word of caution on its Facebook page. “A haboob is rapidly approaching the Lubbock airport and may affect the city as well,” the meteorologists wrote. 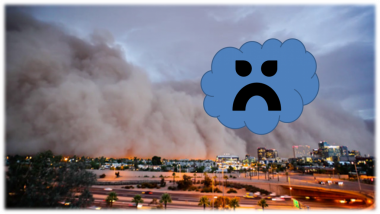 To be clear, the Weather Service’s use of “haboob” was entirely appropriate. It describes a situation in which a collapsing thunderstorm exhales a burst of wind. This burst of wind, or outflow, collects dust in the surrounding arid environment. 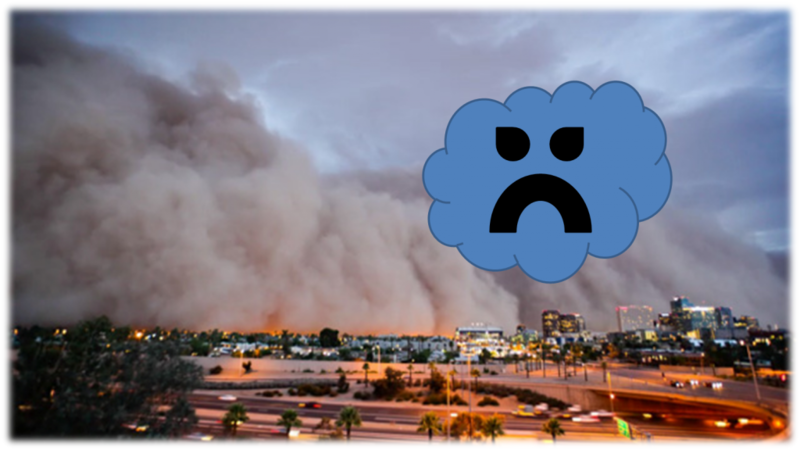 The dust can grow into a towering dark cloud, the so-called haboob, that sweeps across the landscape, cutting visibility to near zero. 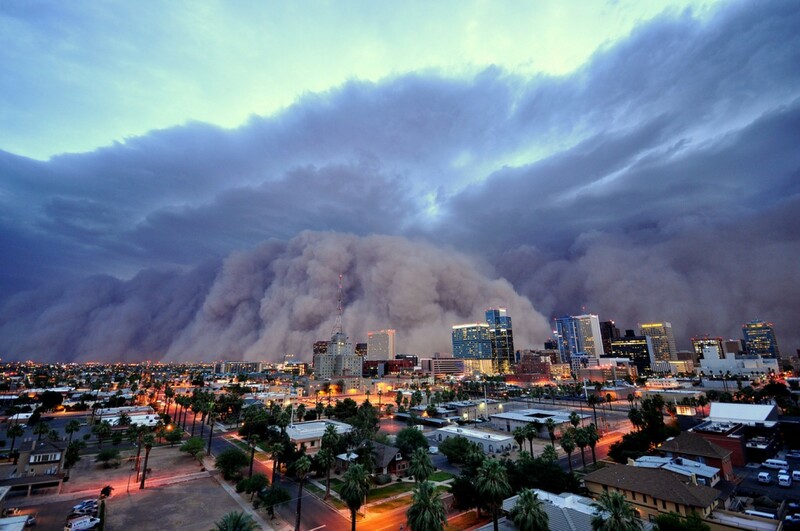 Haboobs are common in the desert Southwest and the Middle East, where the term originated. Extreme blowing dust episodes, or duststorms, typically cover a large area, as opposed to the narrow zone of a haboob. Sandstorms occur when sand grains are blown across the lowest few feet of the landscape, usually in true deserts rather than semiarid regions. Massive Dust Storm | SE Phoenix, AZ. | Whoa!